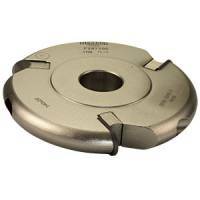 A 3 flute bearing guided cutter to recess window frames for friction hinges, which have been in use for many years in the PVCu window industry. With the growing popularity of wooden windows, customers are increasingly requesting the friction hinge system, as it is ideal for use in storm-proof systems and offers many advantages such as high security, full opening for easy cleaning, lack of additional window stay and rust resistance. 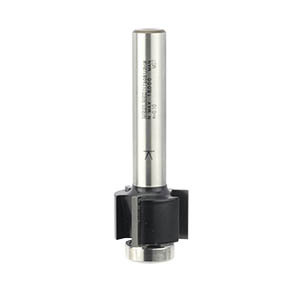 Although this operation may be carried out on the spindle moulder, the use of this router cutter eliminates set-up and change-over times and, in addition, it allows the groove to be machined after the window is assembled. The appearance of the frame is also improved, as a stopped groove may be produced to suit the length of the hinge.